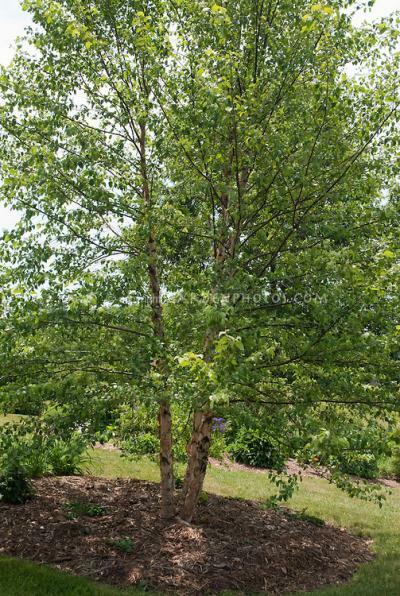 Heritage River Birch is an outstanding cultivar of River Birch. Heritage River Birch has large glossy green leaves, turning yellow in fall. The bark is lighter than the species ranging from tan to creamy white. The habit is pyramidal turning oval or rounded with age. A vigorous cultivar that shows great environmental tolerances. Prefers full sun and moist, acid soil. Price does not include $0.25 per plant royalty.